Elgin City manager Gavin Price hopes the Black and Whites can turn their end of season slide on its head with a League 2 victory away to Cowdenbeath today. Gavin Price hopes to secure Greg Morrison on a permanent deal when his Ross County contract expires in the summer. Elgin City midfielder Ross MacIver says a sustained run in the starting line-up is his primary target during his loan spell from Ross County. Elgin City manager Gavin Price is demanding a squad effort from the Black and Whites when they host Queen's Park tonight in their second of three League 2 matches this week. David Robertson admits that if he had done any research before taking up the manager’s role at Indian football club, Real Kashmir, he might never have stepped on the plane to the subcontinent. Elgin City manager Gavin Price believes defensive resistance holds the key to the Black and Whites maintaining their improved recent form. 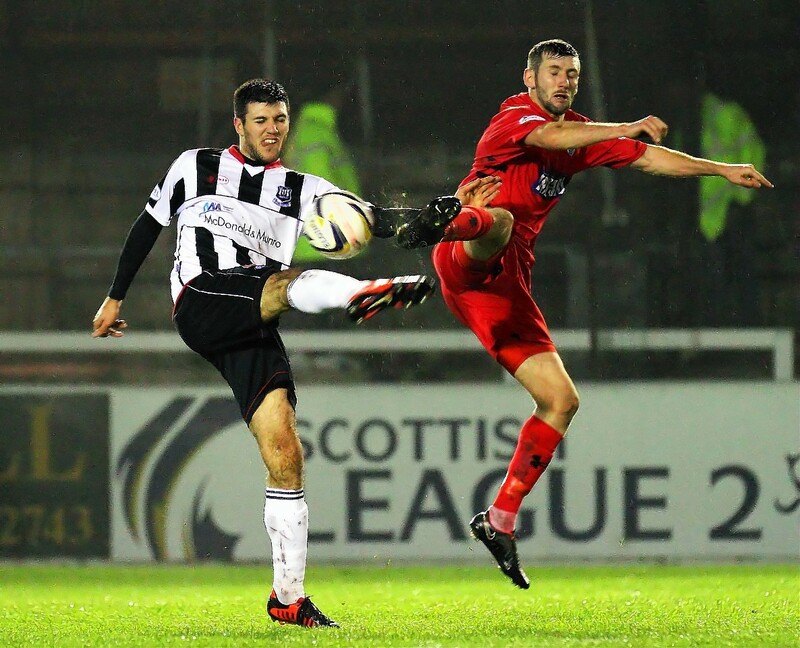 Elgin City attacker Kerr Hay feels competition for places is getting the best out of the Black and Whites' squad. Elgin City have signed Partick Thistle midfielder Callum Wilson on loan for the rest of the season. Elgin City forward Greg Morrison is confident the Black and Whites can build momentum at a crucial stage in the League 2 season. Elgin City winger Ali Sutherland is ready to make his case for a starting role after returning to Borough Briggs from a loan spell with Rothes. Peterhead and Elgin City's League 2 fixtures this weekend have both been postponed due to adverse weather. Shane Sutherland insists he was not seeking a move away from Elgin City and Peterhead's ambition swayed him into returning to Balmoor. Elgin City midfielder Rabin Omar believes Borough Briggs is the ideal setting for his former Annan Athletic team mate Scott Roberts to thrive. Thomas McHale made the risk to uproot himself from familiar surroundings and deposit himself 700 miles away from home. Elgin City’s Scottish Cup preparations hit the skids when manager Gavin Price and members of his squad had to spend the night in their cars this week on the way back from training. Elgin City defender Matthew Cooper will rekindle fond memories when the Black and Whites make the trip to Easter Road for Saturday’s glamour Scottish Cup fourth round tie against Hibernian. Elgin City manager Gavin Price insists today's game against Cowdenbeath is a prime opportunity to leave the Blue Brazil trailing in the chase for a League 2 promotion play-off place. Elgin City defender Matthew Cooper insists the Black and Whites remain firmly on course for their target of a League 2 promotion play-off place this season. Elgin City manager Gavin Price feels 2019 marks a fresh start for the Black and Whites in their bid to secure a League 2 promotion play-off place. Elgin City captain Jon-Paul McGovern has challenged the Black and Whites to produce a strong second half of the League 2 season to make sure of a promotion play-off place. Elgin City manager Gavin Price is urging his side to stand up to the task that awaits them in today's derby fixture against Peterhead at Borough Briggs. Greg Morrison considers fellow attacker Ryan Dow to be a team-mate at Ross County, however the pair will be derby rivals when Elgin City host Peterhead in League 2 today. Elgin City goalkeeper Kyle Gourlay is keen to extend his loan deal with the Black and Whites beyond the turn of the year. Elgin City manager Gavin Price insists his side's stay in the play-off places will not last long if the Black and Whites fail to address their defensive problems.